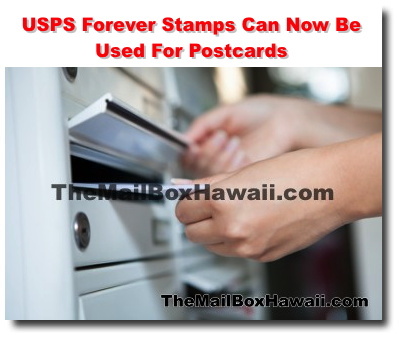 The United States Postal Service is now extending the use of Forever Stamps to postcards. The Forever Stamp is good for mailing 1 ounce First-Class letters anytime into the future regardless of any price changes. These postcard Forever Stamps will have a description on the stamp that identifies is as a "Postcard" forever stamp. Shop for stamps online at the USPS Store.